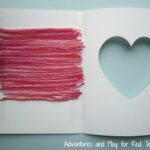 It is accordion paper craft time again. 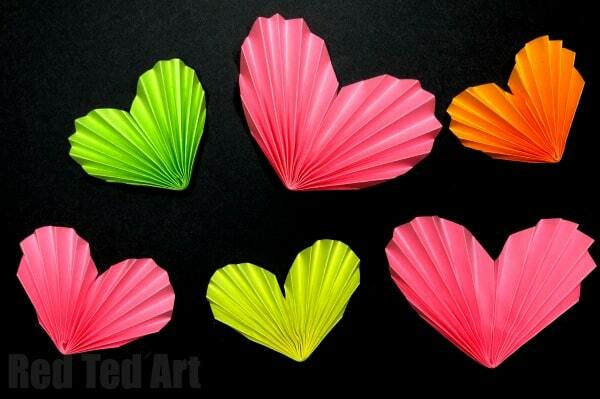 As you know my kids and are great fans of crafts using folded paper that is folded in an “accordion style”. 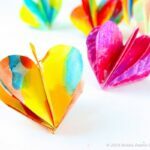 We have some fabulous and adorable Paper Butterflies made in this way. 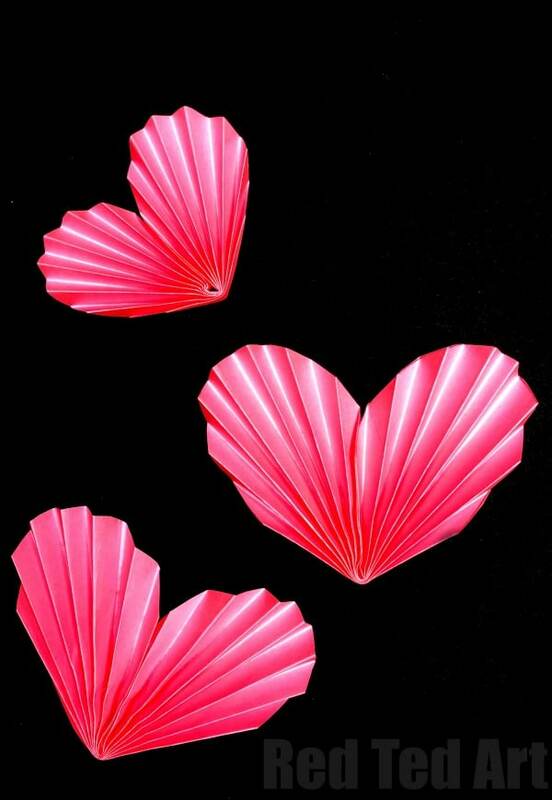 Today, we share how to make accordion paper hearts. 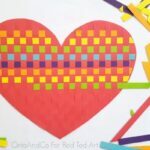 Now this isn’t actually anything new to Red Ted Art.. a couple of years ago The Craft Train shared their 3d Paper Heart Garland with us, which more or less used exactly the same 3d Paper Heart How to. I thought it would be worth sharing again. 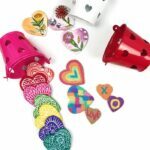 The Paper Heart Garland is just one way of using these lovely (and easy) Paper Hearts, though they could also be used as individual ornaments, as part of a Valentine’s Day greeting card, to decorate DIY Photo Frames with Hearts or even as a hair piece. 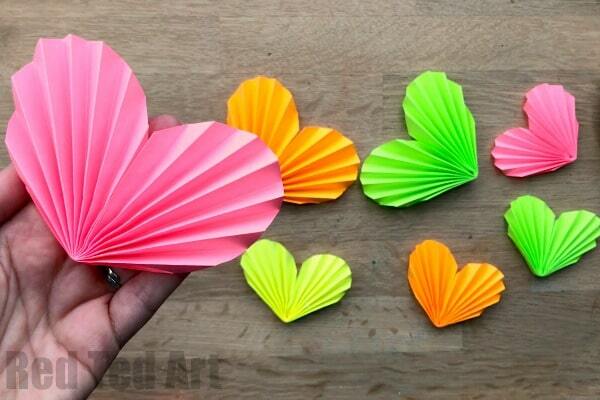 One lovely little 3d Paper Heart How to with lots of gorgeous uses. 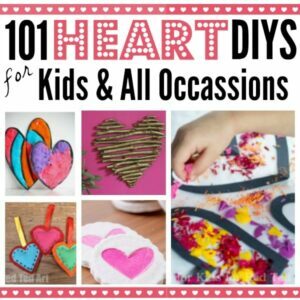 If you are looking for more DIY Heart Crafts, we have over 101 for you to browse below!! Paper (any size!) 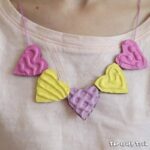 – we used neon colours, which look amazing, but are quite hard to photograph!!! 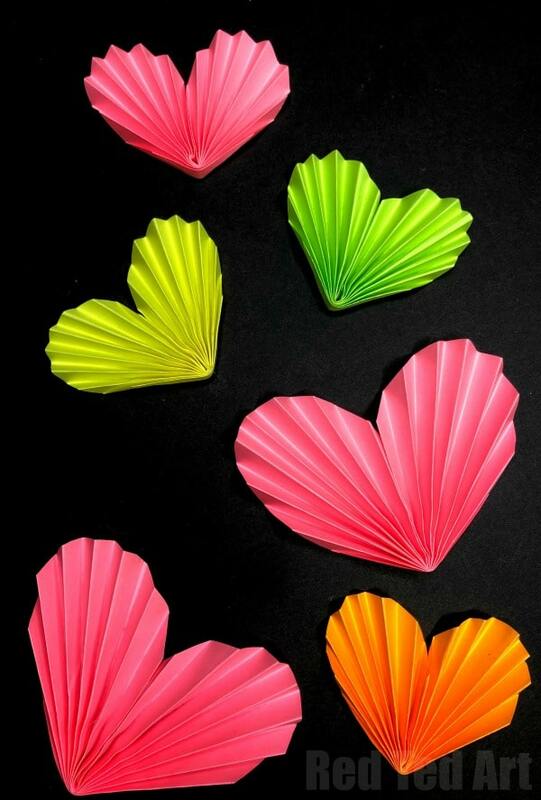 Please do watch this super quick and easy Paper Heart How To video.. or check out the step by step diy heart written instructions below! 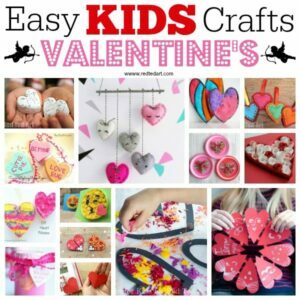 If you would like to see PHOTOS of these step by step instructions, do hop over to the Paper Heart Garland post mentioned previously, which shares images and written instructions.. or simply read on! Begin by cutting out a circle of any size. The larger the circle, the easier the accordion folds are to make. 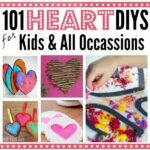 So if you are working with younger children, I recommend a bigger circle.. and smaller one for more dexterous hands to make a smaller paper heart. 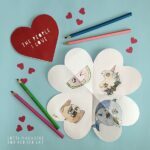 You now have a choice – you can continue to work with the full circle (which I have here) or as in the Paper Heart Garland post, you can trim off two edges – making it a bit like a round retangle. Trimming off the sides, makes for a narrower paper heart and is a question of preference. Now fold your circle into a concertina. 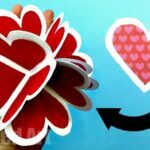 If you watch the paper heart video above, you will see that I prefer to make some “guide folds first”, in order to get all the folds as neatly as possible. But this isn’t strictly speaking necessary. On my medium heart these folds are just under 1cm wide, on my small one 0.5cm. Once all your paper is concertinered, fold it in half. Glue the center piece together (add glue about half way only). And finally, pull the heart apart. 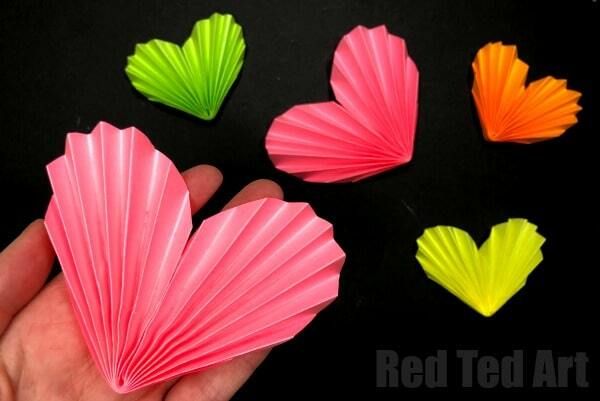 Your 3d Paper Heart Accordion style is finished!! !